VC International (VCi) products are manufactured at Penrith, NSW, a modern city about 50km west of Sydney at the base of the Blue Mountains. 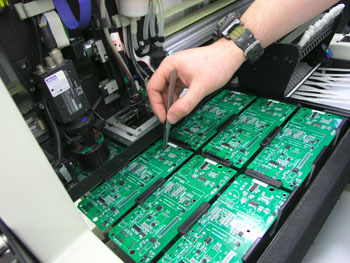 VCi is committed to local design and manufacturing as we believe this is the best way to achieve high quality and cost effectiveness, whilst always maintaining the flexibility our customers demand. Scaled for cost effective medium size production, the facility is equipped with two modern automated surface-mount assembly machines, reflow ovens, ultrasonic welding machines and purpose built testing equipment.